One of the traditions of the Part Time program is to hold an End of Mini Celebration. 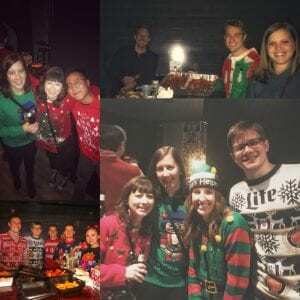 This specific end of mini, we decided to capitalize on the season and host an Ugly Sweater Party to get our classmates to celebrate the end of a tough 6 weeks. 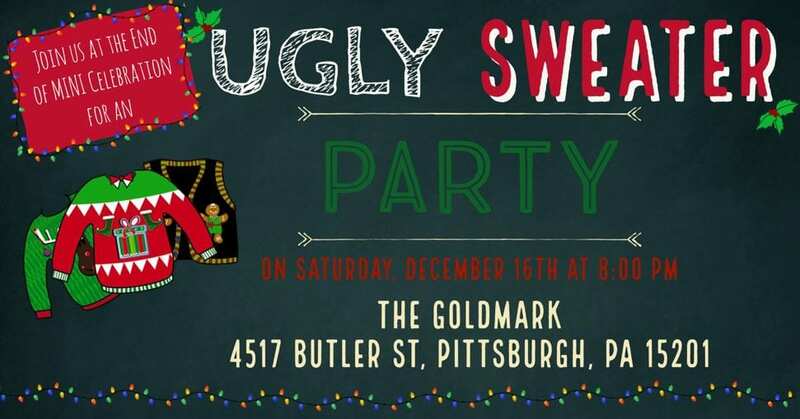 Selecting a location was simple – The Goldmark is a DJ owned and operated lounge in the heart of Lawrenceville. They focus on quality nightlife events and feature Pittsburgh’s best DJs nightly. If you are a music lover, you definitely want to check this place out! We all came in our tackiest sweaters and had a blast discussing holiday plans and commiserating over getting through finals. It’s always fun catching up with classmates you don’t see often, especially with the close of my Tepper career getting one mini closer! Susan is a third-year part time student at Tepper. Susan holds a degree in Actuarial Mathematics from the University of Pittsburgh (H2P), and has lived in Pittsburgh since graduating in 2011. In her spare time, Susan enjoys hiking, traveling, cooking, and live music events. 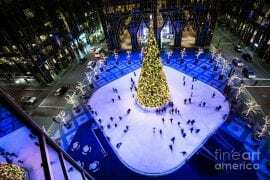 Pittsburgh Winters – Sights, Sounds and Things To Do Who Runs the (Tepper) World? Girls!